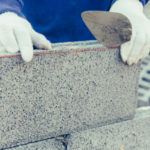 Tuck Pointing, Brick and Chimney Repair Toronto | Turnbull Masonry Ltd > Blog > Blog > How Often Should Your Concrete Foundation Be Inspected on Your Toronto Home? There is no one-size-fits-all schedule for concrete foundation inspection frequency, but that doesn’t mean you should ignore your foundation until serious problems arise. Just like you don’t want to wait until after a fire to install a fire alarm, you don’t want to wait until after your concrete foundation has issues to make repairs. It’s far more cost effective and efficient to keep up with appropriate foundation maintenance. But with no specific time schedule for foundation inspections, how do you know when your foundation needs some TLC? Your home is going to give you all the signs you need to know when to call us out for a foundation inspection. Here are some of the most common signs your Toronto foundation needs to be inspected. First and foremost, lookout for cracks forming along basement floors or walls. 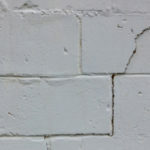 Typically, small cracks in concrete are easy to fix and do not interfere with structural integrity. That doesn’t mean you should ignore them. 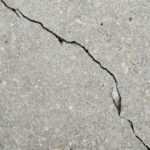 Small cracks will grow into larger cracks, eventually allowing water to seep inside beneath the foundation of your home. That’s when serious problems have a chance to arise. Cracks that measure larger than ¼-inch are more cause for concern than smaller cracks. We are more than happy to assess foundation cracks to determine the cause and best solution. When it rains the soil around your house fills with water and expands. When it stops raining, the soil dries up and decreases in mass. All of this shrinking and expanding puts pressure on your foundation. That’s why it’s important to have your foundation inspected if you notice a lot of soil shifting around your home. If the windows and doors on your home get stuck or don’t properly close, it’s a sign that your home is no longer sitting on its foundation just right. Small cracks in your foundation are not going to cause windows or doors to malfunction. These problems generally indicate more serious foundation damage that requires immediate attention from a professional. Poor drainage is a common cause of foundation issues. If water regularly pools around your home, standing water reaches up the sides of your building, or drainage systems are not carrying water away from your house, your home is at greater risk for foundation issues. After drainage issues are resolved, it’s beneficial to have your foundation inspected. Don’t let someone talk you into fixing your foundation before drainage issues are resolved, otherwise the problem will simply return. Water can cause a lot of damage in a relatively short time, completely undermining the stability of your foundation. Previous foundation repairs require regular checkups to ensure everything is properly working and repairs are holding up. The professional that fixed your foundation the first time around should provide a timeline when to have repairs inspected again. It is perfectly normal for minor natural movements to occur post-repairs. If movement seems more than normal, it’s always best to call in a professional. 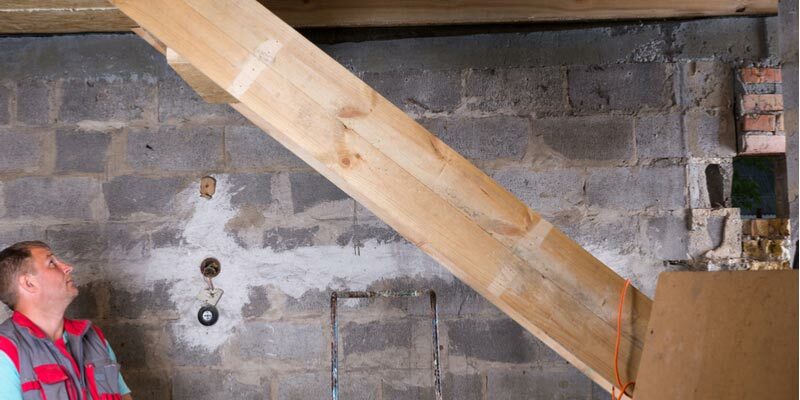 Before your foundation is repaired, it’s important to identify the cause of damages. Otherwise, you are making repairs for no reason because the issue is just going to return. For instance, if water damage caused your first round of foundation repairs, but the drainage problem isn’t addressed, your foundation remains in trouble. -The soil around your home is very wet, even if it has not rained in a while. -Or, the soil around your home is unusually dry after a period of heavy rain. -The floors or ceilings in your home are warped or sagging. -Interior walls are cracking, crumbling, or showing signs of buckling inwards or outwards. You may also notice mold or decay on walls. What About Concrete Foundations on New Homes & Buildings? It’s not uncommon for new homeowners to ask us about foundation inspections and when they are going to need one. For the most part, newer construction is fine, that is unless you notice the telltale signs of foundation damage. It is not unheard of for new construction to have foundation issues. Construction issues, drainage problems, or other things can cause a new concrete foundation to fail, it’s just far less likely. What If I’m Purchasing a Used Home? Foundation inspections are an important part of the inspection process, which generally takes place during escrow. The home inspector oversees this crucial inspection, and you should be immediately alerted if there are issues with the foundation. 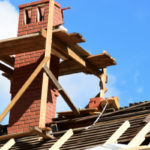 At this point, if you still want to go through with buying the house, we are more than happy to come out and give you an estimate for how much it’ll cost to repair the foundation.